It is an unchallenged belief that humans have certain basic needs for survival—food, water, and sleep, for example. However, while these things may account for an individual’s biological and physiological needs, there are many other things we humans need to thrive as opposed to purely survive. One of those things is a gift that millions of people take for granted each and every day: light. For many of us, light is simply a way of life; and, as a result, we are becoming exceedingly reliant on its steadfast presence. Every night, millions of people around the world struggle to overcome darkness. While some sleep, others attempt to work and study deep into the night. According to the International Energy Agency, 1.2 billion people—17% of the world’s population—–did not have access to electricity in 2013. These individuals, therefore, are forced to turn to non-renewable light fuel oils such as kerosene for light. This dependence on kerosene lamps then leaves behind a large ecological and economical concern to be addressed. Steve Katsaros, CEO and Founder of Nokero, aims to change all that. 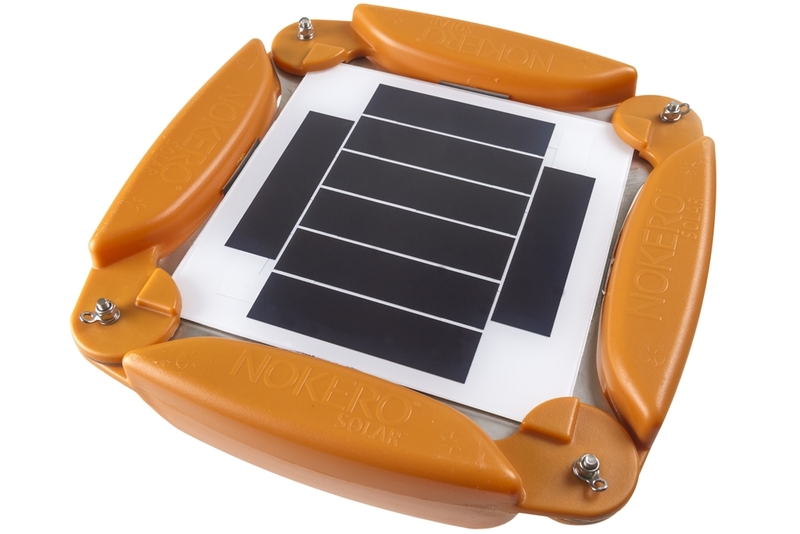 Nokero, short for ‘No Kerosene,’ utilizes solar technology to harvest the sun’s energy into an efficient and affordable product. The company’s goal is to eliminate the dependence of kerosene lamps in developing countries around the world, one solar lamp at a time. Durable and long-lasting, Nokero claims its N233 Solar Light (See Figure 1) to be the world's most efficient light. Not only that, but what makes Nokero solely unique is not just their headlining product, which rivals that of Sun Energy’s S240 Solar LED Light Bulb, but also their inspiring mission to actively eliminate kerosene usage around the globe by donating their solar products to developing countries. There are currently five Nokero products on the market—the N183 Solar Light, the N193 Solar Light, the N233 Solar Light, the C223 Solar Light with Phone Charger, and the W100 Solar Work Light. Each product was designed for versatility. While the main purpose of each is to provide light, they all have a remarkably wide range of applications. For instance, the W100 Solar Work Light (See Figure 2) was designed for fishermen in Tanzania, but the product can also be used as a streetlight or personal dock lamp. “I invented [the W100 Solar Work Light] for fishermen in Tanzania who go out on boats,” states Steve Kastaros. The fishermen’s use of kerosene lamps “has really led to a very bad situation on Lake Victoria in that they spill a lot of kerosene. A lot of [that] kerosene doesn’t actually get combusted, causing algae blooms [which] inversely impacts their local fishing yields. So I said okay, [these fishermen] are spending collectively $70 million a year on this kerosene to attract fish throughout the lake regions, so why don’t we create a solar light like a bigger version of our [initial] product.” Just like the kerosene lamps the fishermen used out on the water, this light attracts fish with its brightness. Not only that, but the product floats on the water and can run up to 40 hours on a single day’s charge. In addition to being used for fishing, the W100 can be utilized for pathway lights, solar street lamps, personalized dock lighting, alleys, and even skylight applications, explained Kastaros. Talk about resourcefulness! Structured similarly to Tom’s shoes, the Nokero business model has adopted a “buy one, give one” policy in which “A bulb sold in the U.S. results in a light being given to someone in the developing world who lives without access to electricity,” states Katsaros. For every Nokero light bulb purchased off their website, one lightis donated to someone who needs it—simple as that. The Nokero website also provides the option to ‘Light a Village’ for just under $3,000, in which the company partners with a non-profit organization to provide both solar lights and solar phone chargers to sustain over a thousand people for several years. Unlike some organizations, however, Nokero is a for-profit company as opposed to non-profit. When asked to explain this choice of business model, Kastaros was eager to clarify: “The track for non-profits, a lot of the time, is that they spend half of their time trying to receive the donations to then go and do their work. I felt it was important to use the power of commerce, entrepreneurship, and invention to reach the scale that we want for Nokero.” In essence, being a for-profit company allows Nokero to expand and produce more quickly, enabling them to help more people faster. 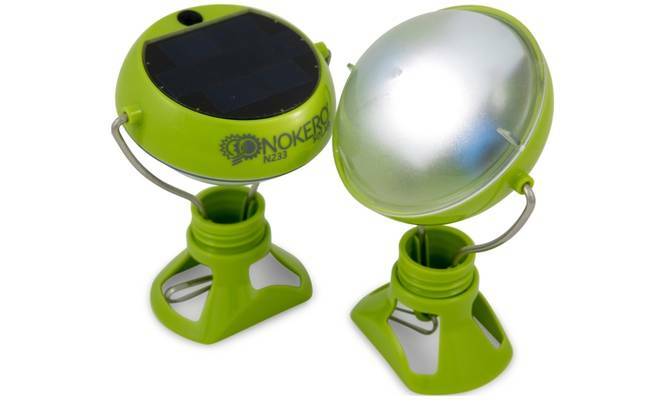 Access to a solar powered Nokero light has many benefits over a kerosene lamp. Not only is Nokero’s solar light a renewable energy source, but it also produces more efficient lighting. According to Nokero, the use of their solar lights increases study time by nearly 50%, allowing more time for education. Solar lighting is also non-hazardous, whereas kerosene fumes pose a serious health hazard. Both the fumes from kerosene and direct contact with the oil can pose serious health risks to individuals, potentially leading to respiratory infections, burns, poisoning from fuel ingestion, and increased cancer risks. The environmental and economic benefits of switching from kerosene to solar are tremendous as well. Each kerosene lamp burns about 40 liters of kerosene a year, emitting at least 270,000 tons of black carbon annually. Black carbon is known to absorb more sunlight than carbon dioxide, making it the second largest contributor to global warming. To put it in perspective, one kilogram of black carbon accounts for as much global warming in one month as 700 kilograms of carbon dioxide over the span of 100 years. Furthermore, the amount of money spent on kerosene by families in developing countries can account for up to 25% of the family’s annual income, totaling an estimated $30 billion spent annually. Considering that it only takes $3 billion to provide the equivalent of light through solar energy according to Conscious Company Magazine, $27 billion could therefore be saved annually. That’s $27 billion that could be invested into better quality education, food, and medicinal improvements that could benefit communities as a whole. Luckily, humanitarian aid organizations from all over the world are joining Nokero to help with the procurement and distribution of their products. Kastaros enthusiastically recounts one particular occurrence in which Nokero worked with a congregation to provide light to families in Cambodia: “Two months ago, this wonderful thing happened,” he began, “where a family purchased 500 lights from us and, instead of bringing clothes over on their trip to Cambodia, they brought these bulbs. The bulbs were paid for through their congregation, and they were pat-printed on the side [with the words] “Jesus Loves You” in English and Khmer, which is the local indigenous language of Cambodia.” Kastaros continued: “So they brought these [solar light bulbs] over, and they had this amazing life experience by bringing something like light to people who don’t have any.” Nokero additionally partners with American rock band Linkin Park’s ‘Power the World’ initiative to provide solar lights to families and midwives in Haiti. These are just a few of the many successful and life changing stories that Nokero has helped make a reality. The company looks forward to continue strengthening its relationships with other organizations and expanding its selection of products in the United States and beyond. As a result of all the incredible changes Nokero has brought to over 100 countries across the globe, this company is undeniably making the world a brighter place, one lightbulb at a time.